4 Why do other deities don't have a family? There are mostly five members in the family of Lord Shiva. The name includes God Shiva, Mother Parvati, Kartikeya, Ganesha, and Ashok Sundari. 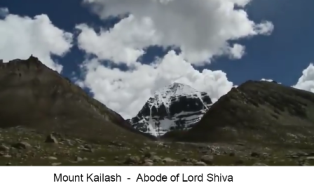 Mount Kailash is the abode of Lord Shiva where Shiva lives with his family. 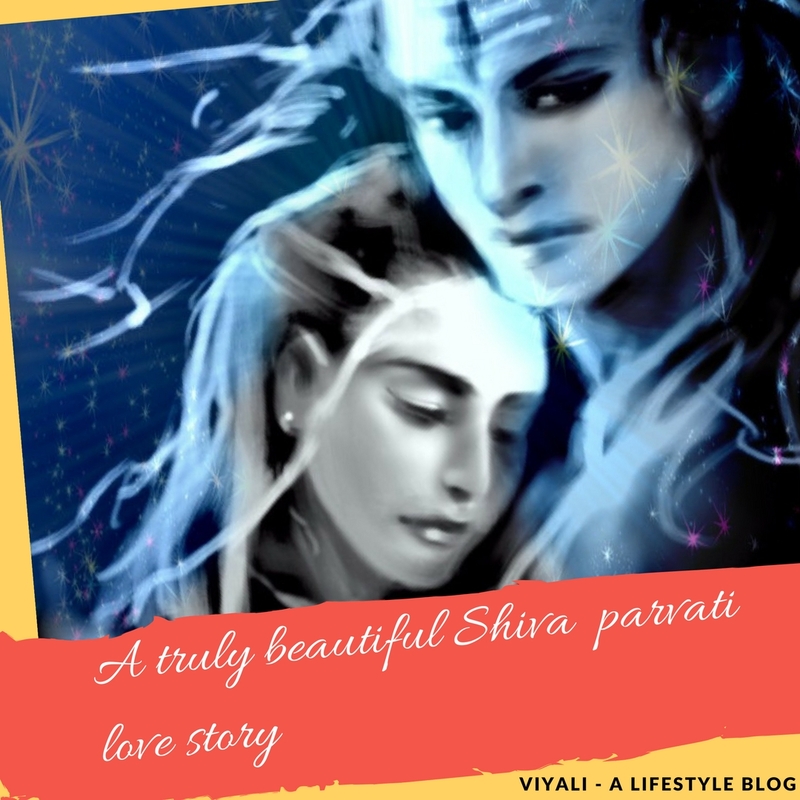 In this post, we have shared the information about Lord Shiva family. Although, the whole world is Lord Shiva's family including everyone. Shiva never differentiated between anyone. 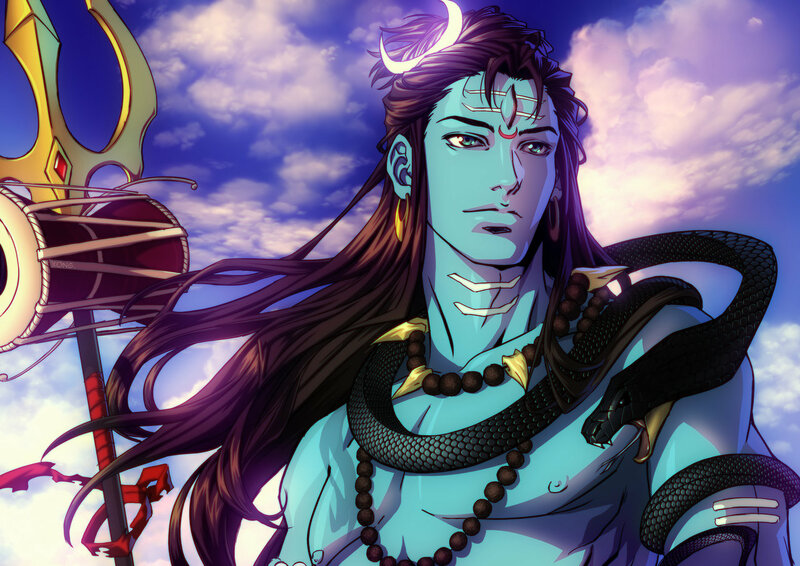 There are five members of the Lord Shiva family. 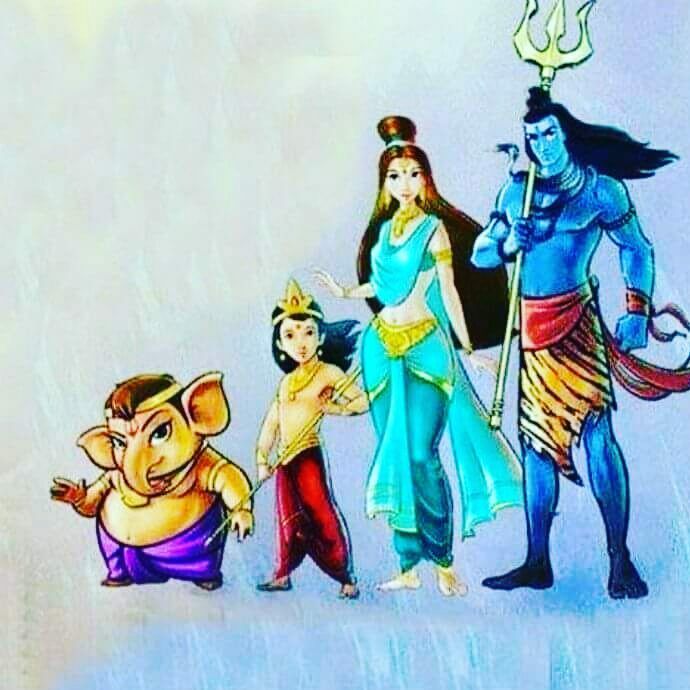 The family of Lord Shiva is the best example of loving, caring and a happy family. The most astonishing thing about Lord Shiva's family is that in the Sanatan Dharma, only Lord Shiva has the flourished and complete family. Whereas, only a rare number of deities have families like deity Sun who has two sons and a daughter. At the beginning before Shiva and Parvati wedding; once Rudra was meditating, when Goddess Parvati came to meet Lord Shiva. Indra sent Kaam deva to bring Shiva out of the meditation so that Shiva could have a look at Goddess Parvati. Instead of looking at mother Parvati; Shiva burned KaamDev from the fire of his third eye and turned him into the ashes for interfering Shiva's meditation. After the Kamdev death; the wife of Kaamdev, Devi Rati curse Goddess Parvati that she will not get the happiness of being a mother. Why do other deities don't have a family? 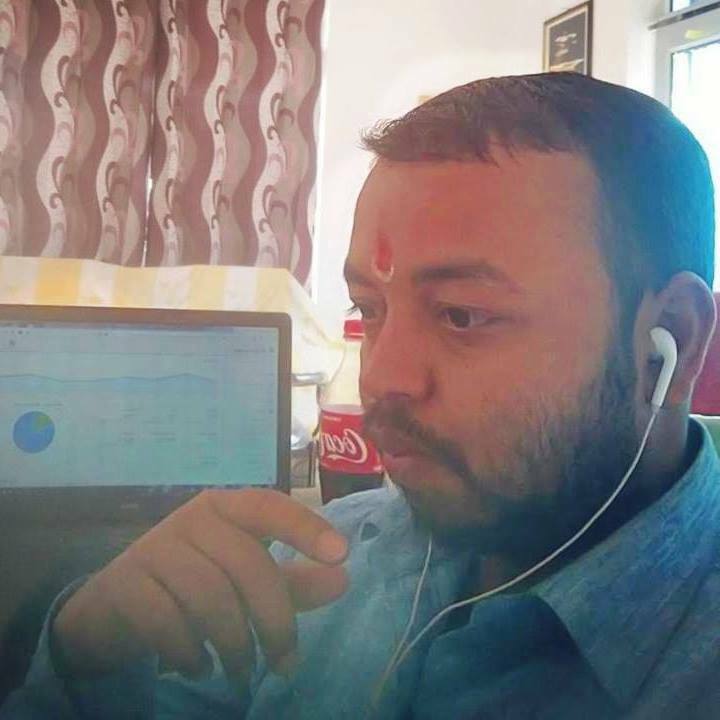 After the Shiva and Parvati marriage, Bholenath explained goddess Parvati, whereby their children will take birth through their mixed spiritual energies. At the time of Kartikeya birth, once Goddess Parvati cursed every deity when on the orders of Indra Deva, Agni Deva tried to steal the Kartikeya in the form of Shiva and Parvati spiritual energies. Since then even deities have to take human birth to possess families. 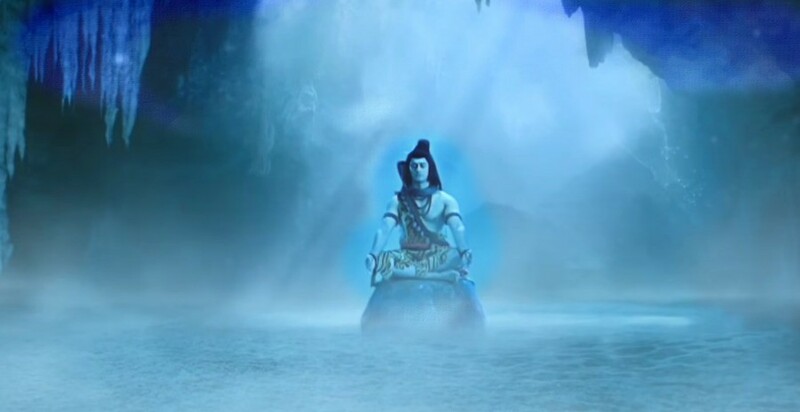 Mahadev is Immortal, infinite and greatest transformer; the one who doesn't have any start or end. 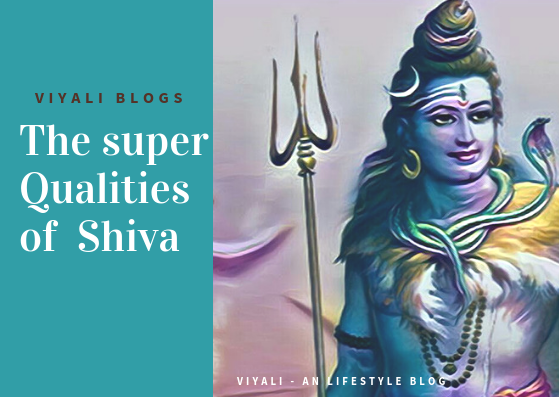 Therefore, there is no one like Lord Shiva, who is known for living a completely unconventional lifestyle which includes Vairagya in it, as well as the family, is integral to him. Lord Shiva is the significant godhead of all deities in Hinduism who has a loving family. 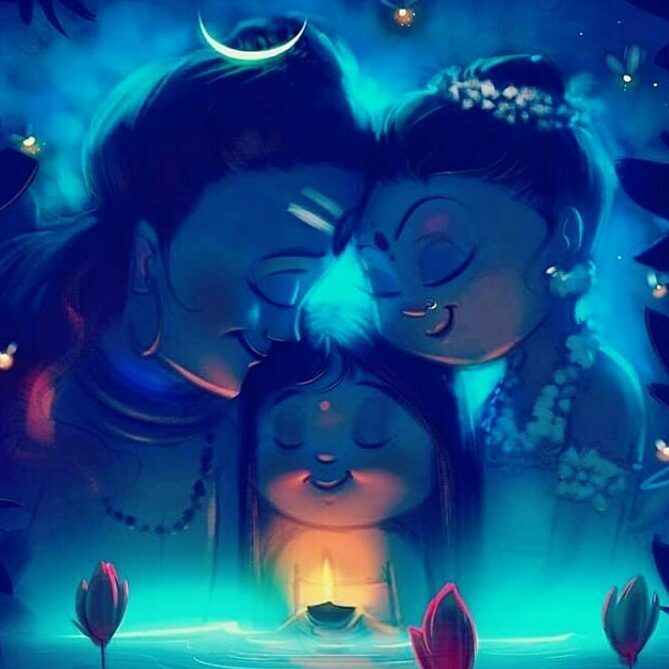 In which Lord Shiva operates the duty of the family head. Shivagans are also the part of Lord Shiva's family. Although, there are other sons also mentioned in various Vedic texts, like Jalandhar, Ankadak, Bhumi. Some of them were born from Shiva's anger, tear, and sweat. Most importantly, they are not the sons of Shiva. To become the consort of Lord Shiva, goddess did the complex penance on Lord Shiva. It took long for goddess Parvati to win Lord Shiva's heart after that Parvati gets married to Shiva. Lord Kartikeya is the elder son of Lord Shiva who was born to slay a demon named TarakaSura; after that Kartikeya adapted the responsibility of demigods protector and went to the Southern part of the Asian continent. The influence of Lord Kartikeya can be easily felt in the south Asian region by different names like Subramaniam, Senthil, Murugan. Lord Kartikeya is enlightened in all the combat art by Shiva, but a spear is Kartikeya's trademark weapon. There are many names of Lord Ganesha, for example, Vakratunda, Vinayak, and, Ganpati. Lord Ganesha is the younger brother of the Lord Kartikeya. Lord Ganesha is believed to be the remover of all kind of obstacles. It is the reason Lord Ganesha is also known as Vighnaharta. In Sanatan Dharma, Lord Ganesha represents the auspiciousness and high level of intelligence. Lord Ganesha is also believed to be the giver of skill & power. Shok means sorrow and Ashok means the remover of the grief. Once upon a time, Goddess Parvati desired to have a daughter, who could understand her better. Hence she created a daughter from the tree. Since she took Goddess Parvati out from the grief of being in solitude, she became Ashokasundari. The Sundari name is given to her because she was a beautiful daughter to Shiva and Parvati. Shivgans is also an integral part of the Shiva family. These all are the distorted creatures who live on Mount Kailash with Shiva. For them, Shiva is their father and, Goddess Parvati is their Mother. Lord Ganesha is their leader as Ganpati, and deity Kartikeya is their Kumar. They are the patron of the Kailash Parvati. Their permission is mandatory to meet Lord Shiva. After the death of Mahisasura by Goddess Durga; the sister of the demon Mahisasura, emerged as Mahishi to take revenge. She meditated upon Lord Brahma and received a boon that only a combined strength of Shiva and Vishnu can kill her. Ultimately, Lord Vishnu took Mohini form so, as to procreate with Shiva. Lord Ayyappa was born with this union who is also known as Sastav. Finally, Lord Ayyappa freed the world from the atrocities of the Mahishi. The various states of India Worship Lord Ayyappa by different names; for example, Tamil Nadu worships Lord Ayyappa as, Lord Aiyannar. 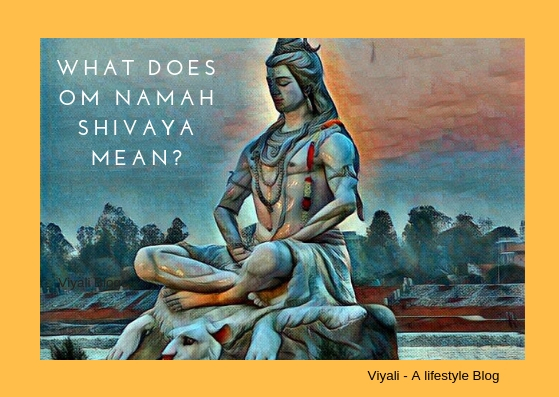 Let us check out what lessons people can learn from Lord Shiva's family? Goddess Parvati rides the tiger, Lord Kartikeya, rides peacock and Lord Ganesha rides a rat. In contemporary form, Shiva has a snake on his Neck and, Bull Nandi is his vehicle. All these animals have different attributes and traits their feeding habits are different still they live in complete Harmony. Humanity can learn this great message from them. 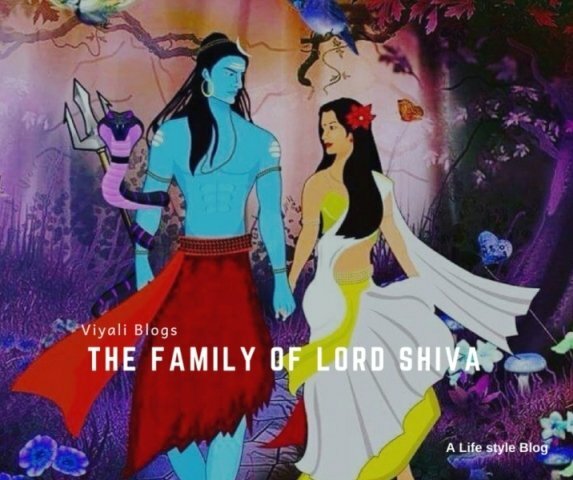 In this post, we have shared the information about Lord Shiva family. If you loved the post, please feel free to share on the web. 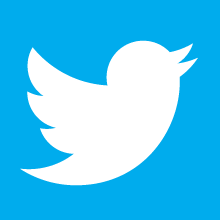 For recent updates, you can like our Facebook page and follow us on the Twitter handler. You can also subscribe us through your email, and it is free.